Parents probably want to do everything they can to get kids to use Facebook responsibly How To Get Kids To Use Facebook Responsibly How To Get Kids To Use Facebook Responsibly Over the last few weeks, news hit the Internet that Facebook is looking at ways to allow kids under 13 to use Facebook under parental supervision. 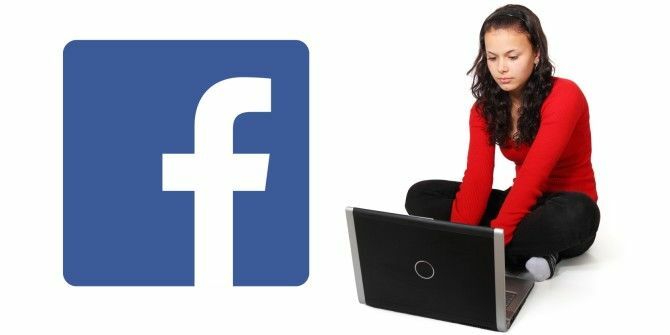 For quite some time now, Facebook has required all... Read More , and the social network has accordingly had a long-standing policy for those aged 13 to 17 to make their first post to “Friends of Friends”. In a new move, this is restricted even further to “Friends” itself for the initial post. But another update opens up the options for them to share more broadly. Facebook is now allowing teenagers to share all their posts publicly. Additionally, teens can turn on ‘Follow’ so that their public posts can be seen in people’s News Feeds. “While only a small fraction of teens using Facebook might choose to post publicly, this update now gives them the choice to share more broadly, just like on other social media services,” Facebook said in a release. To ensure that teens don’t accidentally share information publicly, FB has put in two prompts to make them confirm that they did intend for it to be a public post. Meanwhile, as Microsoft launches Windows 8.1, Facebook has also finally launched a Modern UI app in the Windows Store. The touchscreen-friendly app has turned buttons into slightly larger tiles, and spaced them out so that it’s easier for finger operations. The Verge reports that the app supports the ‘Share’ Charm, allowing you to automatically attach the photo you’re viewing to an email. And the Snap view lets you snap 40% of the window. The Facebook app is free to download from the Windows Store — which has plenty of great Modern apps already — but you need to have Windows 8.1 installed to get it. And remember, if you’re getting Win 8.1, prep your PC first Upgrading Your PC for Windows 8.1? Prep It First! Upgrading Your PC for Windows 8.1? Prep It First! Windows 8.1 makes significant changes to Windows 8 and it's a worthy upgrade on any device. How you'll upgrade depends on which version of Windows you're upgrading from. This article has all the details. Read More ! Explore more about: Facebook, Online Privacy, Windows 8.